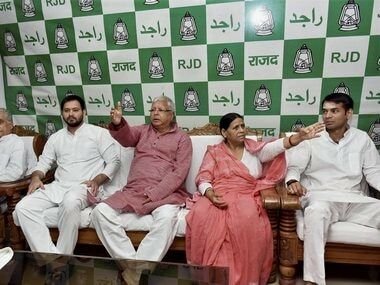 Patna: RJD leaders on Friday asserted that none from the party made telephone calls to the special CBI judge at Ranchi, who is to pronounce the quantum of punishment to Lalu Prasad Yadav in a fodder scam case, but felt political opponents may have done so in the guise of RJD supporters. The assertions were made by Shivanand Tiwary and senior party leader Jagdanand Singh. Their denial came in the wake of special CBI court judge Shiv Pal Singh, before deferring the pronouncement on the quantum of punishment on Lalu on Thursday, commenting in his presence about him receiving phone calls from the RJD chief's well-wishers. "I came to know about it (special CBI judge Singh making the aforementioned statement in court) through media reports. I can say with certainty that no RJD leader would resort to such a step, as everyone knows that such desperation can backfire", Tiwary told reporters. He also said "the possibility of our political opponents making such a call in the guise of RJD supporters cannot be ruled out. They may indulge in such mischief to queer the pitch for Lalu". The RJD vice-president expressed hope that "quantum of sentence in the instant case relates to the withdrawal of money from Deogarh treasury will be less than the one awarded to him in 2013 since the amount involved in the present case is much smaller". Prasad was convicted by the CBI court on 23 December in a case relating to fraudulent withdrawal of Rs 89.27 lakh from the treasury in Deoghar district. Earlier, he was awarded five years imprisonment in 2013 in a case relating to fraudulent withdrawal of Rs 33.61 crore from the Chaibasa treasury. 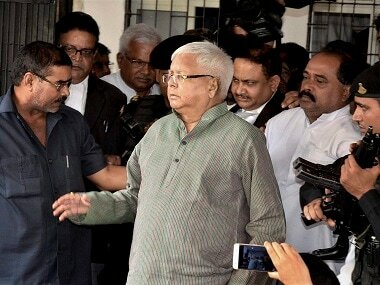 The RJD supremo was later released on bail granted by the Supreme Court. The RJD supremo's counsel has been pressing for "minimum punishment" in view of his old age and poor health. Legal experts say that if the quantum of sentence happens to be less than three years, Prasad would be able to apply for bail immediately at the lower court itself. Tiwary, who is among leaders of the RJD and the Congress against whom the CBI court has issued contempt notices for criticising the judgement whereby Prasad was convicted, also questioned "why is the judge unwilling to name the callers. And why has he not initiated action against them?" Echoing Tiwary's views, senior RJD leader Jagdanand Singh told reporters separately "it is unlikely that any of Lalu's well-wishers will do something like this. Unless the judge sheds more light on the episode... discloses the identity of the callers, much cannot be said on the issue". 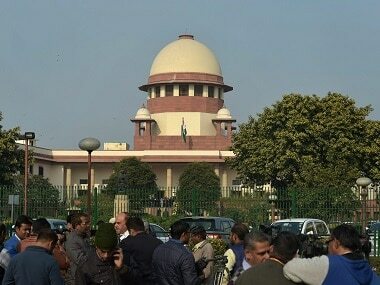 Meanwhile, Bihar BJP spokesman Sanjay Singh Tiger alleged that the reports of calls to the judge showed that "RJD leaders were going to the extent of trying to put pressure on the judiciary to save their party supremo from facing the consequences of corruption". Asked if BJP men could have made telephone calls pretending to be RJD supporters, Tiger said "this is ridiculous. Why would any of our leaders ever seek leniency for Lalu with whatever motive? Our party has been in the forefront of exposing the corruption of Lalu and his family and we are glad that justice is being done".